This is in continuation to my series on the Underappreciated features of Microsoft SQL Server. The series has been inspired from Andy Warren’s editorial on SQLServerCentral.com of the same name. For any system that interfaces with other systems, bulk data transfer is a reality and has an importance that cannot be underestimated. Generally, the scenario is that data from multiple data sources (flat files being the most common) need to be imported into your SQL Server, or data from your SQL Server needs to be exported to these flat files. Because Microsoft SQL server is naturally tuned to enterprise needs, it comes out of the box with a facility to “bulk insert” data into the SQL Server. Today, I will try to introduce you to the bcp command line utility and the BULK INSERT in SQL Server. The bcp command line utility copies data from a database in the Microsoft SQL Server to or from a data file – in a user-specified format (nothing can be more important than the last part, trust me). BCP is a huge utility (huge in terms of the flexibility and functionality it provides), and you can read all about it on Books On Line at http://msdn.microsoft.com/en-us/library/ms162802.aspx. BCP has been written using the ODBC bulk copy API per the BOL page – http://msdn.microsoft.com/en-us/library/aa196743(SQL.80).aspx. And you will see that the output file now has the all rows of the HumanResources.Employee table. Madhivanan (blog) provides a great stored procedure to work with BCP. Do not forget to read about it from his post here (it’s one of my favourites). BULK INSERT operations allow us to import data into a Microsoft SQL Server. This feature is a one-way traffic lane. The BULK INSERT operation is similar to the very familiar SELECT * INTO tableName FROM tableName2 query. Pinal Dave (blog) demonstrates in his post (http://blog.sqlauthority.com/2008/02/06/sql-server-import-csv-file-into-sql-server-using-bulk-insert-load-comma-delimited-file-into-sql-server/), how to BULK INSERT the contents of a CSV file into a Microsoft SQL Server database. BULK INSERT does not support import of selective columns. Madhivanan explains how this can be done in his post here – http://beyondrelational.com/blogs/madhivanan/archive/2010/03/17/bulk-insert-to-table-with-specific-columns.aspx. He also summarizes some of the best practices in his post http://beyondrelational.com/blogs/madhivanan/archive/2010/12/22/best-practices-when-using-bulk-insert.aspx. Do you use bcp or BULK INSERT? If yes, do let me know – I would be interested in understanding the performance and/or other issues that you may have had to overcome. This post ends the T-SQL enhancements section in the list of Underappreciated Features of SQL Server. From my next post, I will address some of the Administration Enhancements. If you would like me to write about something, do feel free to let me know. 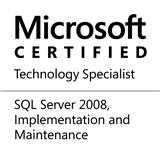 This entry was posted in #SQLServer, Blog, Imported from BeyondRelational and tagged #SQLServer on May 2, 2011 by nakulvachhrajani. If this is just a one-time operation that you need to do (copying data from server #1 to #2), you can try using the OPENROWSET queries ([http://msdn.microsoft.com/en-us/library/ms190312.aspx]). I use that myself in production to transfer data when it does not make sense to link two servers at geographically remote locations just for that one operation. Please note though that this is an adhoc distributed query, which is an advanced setting that needs to be enabled by the database administrator. I benchmarked a bunch of these SQL Server ETL methods and bcp and bulk insert came up near at the bottom on performance. SSIS was, by far, the fastest way to move data into a SQL Server, and it was relatively easy to make parallel transactions to “fill the bucket” if you have lots of horse power. Even the “import wizard” was faster than bcp for bringing data in, and by far. What have you experienced in this respect? Absolutely – I agree with you, “davecason”. SSIS, if feasible, is one of the best options. The “import wizard” internally uses SSIS, which is why you saw the performance difference. But, if someone does not want to invest in Integration Services, or if there are legacy systems around, BCP and BULK INSERT are always handy. The other reason why BCP and BULK INSERT need to be around is if one wanted to integrate an external source into a T-SQL batch, SSIS cannot fit in. the greatest issue that bcp overcome is performance. The most commonly used case is when 2 sql server can’t be linked ( by a link server ) and you need to copy data fast and easy. How can you do that, if bcp is out of the question, without developing, or using another 3rd party tool ?